“If you are going to be a happy and healthy woman in today’s world, dealing with the pressures and responsibilities you face every day, you’ve got to learn to “DO” your life differently. Christine is an inspirational speaker for women audiences and has been invited to speak at a variety of women’s events and to a variety of women’s groups including women’s conferences, corporate environments, women and girls non-profits, retreats, women’s associations, women’s MBA, sorority and alumni groups, business schools and TedX. 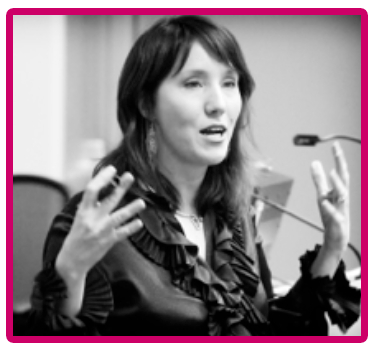 She is an ideal keynote inspirational speaker for women, panelist and/or breakout session facilitator. 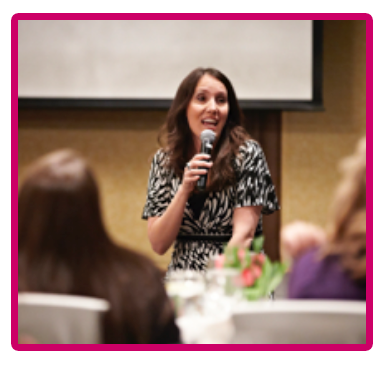 She can craft and deliver for your group powerful keynotes, half day sessions or breakout sessions for your event. Christine also offers personalized webinars and videocasts for women’s organizations of all sizes – from non profits, to national sororities, to internal corporate teams and more. She is also a powerful resource for your leadership teams – teams leading organizations that serve women and girls or all-women leadership teams. Christine can collaborate with you on your programs, deepen your team’s understanding on the unique challenges women and girls face today in regards to self-love, self-worth, unsustainable lifestyles, and the pressures unrealistic expectations are creating. She can also facilitate breakthrough sessions for your all-women leadership teams to collaborate and perform better, and in a more powerful feminine model. Following are some of the most popular topics, and Christine will work with you to customize to the needs of your group. Rewire the self sabotaging “OVER” habits – over-working, over-giving,over-doing and more. INTUITIVE LEADERSHIP: LISTEN. TRUST. LEAP. 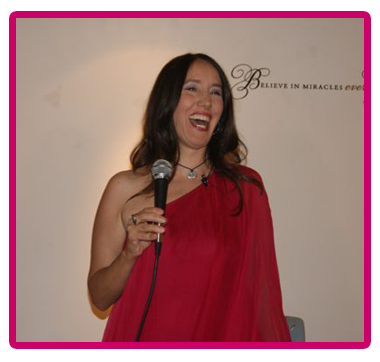 Offering personal experiences and those of her courageous women clients, Christine is a powerful inspirational speaker for women who want to follow their hearts and inner wisdom, but waver in the face of fear, self doubt, conventional wisdom and responsibility. Whether that is making career decisions, making choices how to run their businesses, families or lives, or making choices outside of what is expected or what everyone else is doing, a woman’s intuition is one of her best allies for making choices that align with her truth. Stepping outside of conventional wisdom to follow the inner intuitive guidance she receives can be hard for many women because they haven’t been taught properly how to listen for it, decipher the messages, or how to trust something they can’t “see” with their eyes or “prove” rationally. Christine is an expert in Intuitive Leadership for Life & Business as she’s used it again and again to follow her inner wisdom instead of conventional wisdom, and as a result inspires other to trust themselves, deeply. She’s been living this way for over 15 years, starting with her first leap of faith, 6 months before graduating one of the top business schools in the country, Christine realized she didn’t want to be a management consultant, marry her high school sweetheart, and live life like everyone around her. In the midst of a personal breakdown which became a spiritual breakthrough, Christine made a promise to herself that she would never again settle for less than her heart and soul desired, which meant creating a life that fed her soul, even if that meant leaving behind the security of relationships, 401Ks and the homes/cars/physical stuff she had worked so hard to achieve. “You cannot do and have everything. You cannot be everything to everyone. You have to make choices. And it’s best to make choices guided by your own inner wisdom, based on what you most value. Most women have no clue that their choices are driven by the fear, guilt and doubt of their INNER Mean Girls, female inner critics, that create lives that sabotage you or keep you small instead of support your deepest heart’s desires. When a woman learns to tap into her innate Feminine Power of Intuition, learns to cultivate a relationship with her inner wise woman, she builds strong inner muscles of self trust, faith and courage that allow her to courageously make the choices for herself, her family and her business that align with her truth, regardless of fear, uncertainty or other people’s opinions. That’s super power! A woman’s need for female companionship and sisterhood is primal, ancient and essential to her personal happiness and professional success. And while we’ve come along way in our rights as women, our feminine relationship shadows – comparison, competition, cattiness, gossip, cliques – are still very present. These shadows, left in the dark, silently keep us from tapping into the full power of one our most potent tools as women – sacred sisterhood. 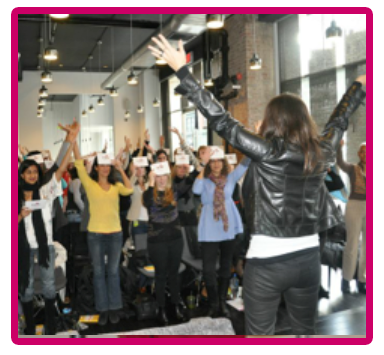 Through this introspective and honest conversation among women participants, we face the dark side of feminine relationship and elevate ourselves to a new model for female partnership and connection – one based on collaboration instead of competition, compassion instead of criticism, invitation instead of isolation, celebration instead of comparison. This is a great session for women’s organizations, women’s entrepreneur groups, women run non profits and leadership team. From Super Woman to Sustainable Woman. Taking the pressure off to do, be and have it all and create more sustainable, supportive lifestyles. Women leaders give so much to everyone else it can seem impossible to take care of ourselves. But if we don’t fill our own wells, we can’t have the impact we want. Welcome to the third wave of feminism – how do we have it all, do what what we love, without killing ourselves in the process? The Self-Esteem Trap. Confidence without Compassion makes you Crabby, Critical and Stressed Out. Self-esteem is only 1/10th of the equation, so while we may all know we can do it all, the pressure to have it all is too much. The solution to our unsustainable lifestyles which we live and teach our daughters, can only change if we expand our focus to include self-compassion, self-pleasure, self-worth and all other key branches of true self-love. Mean Girls At Work. Creating Teams Where Women Collaborate, Connect and Thrive instead of Compete, Compare and Survive. How do we get the comparison, gossip, scarcity and fear out of our women leaders? And tap into the power of women working together, without the masks, the posturing or the pressure? Passion Burnout. Love What You Do, But Don’t Forget to Love and Take Care of YOU Too! When you love what you do, it can be too easy to give everything away, and end up depleted, exhausted, or worse sick. How can you create a culture and a reality for your team and organization that has more impact, with less stress, and pressure on your team, and yourself? Worthy Marketing. Selling in Ways that Support a Woman’s Worth. What if our marketplace could prosper more with images, marketing and products that supported women and girl’s? It can. And it’s up to us to change this and prove it . – Jean Kolb, Kohler Inc.
“Christine speaks from firsthand experience of being in Corporate America and understands the demands women face in our quest to live richer, more meaningful lives.” Her knowledge, life experiences and tools for taking time to slow down and bring more tranquility into your life was a very powerful message. “As leaders we have a unique ability to change the systems that are at the root of why we as individuals never feel like we do enough, have enough or are enough. As the Hopi Elders said, We are the ones that we have been waiting for. Error: Error validating access token: Session has expired on Friday, 19-Apr-19 12:24:14 PDT. The current time is Thursday, 25-Apr-19 10:53:55 PDT.